Do you have a desire for love and fellowship to be part of your life? 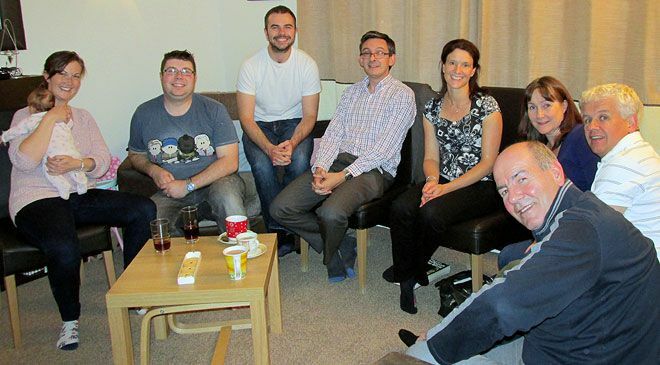 In our homegroups we seek to make this part of all our lives and to be drawn closer to each other and to God. Most of our groups meet weekly, some bi-weekly, mostly in the evenings but some during the day, in people’s homes, to read and study the Bible and pray together. Being part of a homegroup is a great way to make a big church small, get to know a group of people really well and find support from friends who can pray for you. Homegroups often follow our Sunday morning sermon series with their own study material, so that you can dig deeper into what a message might mean for you personally. Groups sometimes decide to study a particular Bible book or theme, or use a series on DVD or online. Most of our groups are mixed, but we have groups aimed specifically at women with young children, and senior adults. We seek to start new groups as often as we can. Will there be a group to fit my schedule? We hope so. We have groups which meet on various nights of the week and during the day. 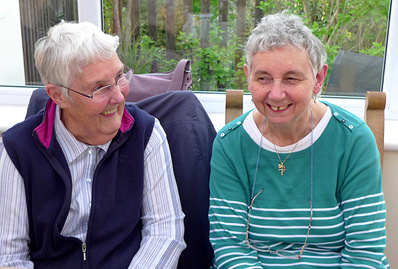 When we start new groups, we always try to meet the needs of anyone who we know is looking to join a group. Will I have to read or pray out loud? No. It can be scary to try a group for the first time, but no one will put you on the spot or ask you to do anything uncomfortable. How will I know which group is right for me? Our Groups Co-ordinator and all our ministers know our groups well. When you talk to them about joining a group they will be able to point you towards a group that will suit you. If you try a group and it is not for you, don’t worry! Simply tell us and we’ll see if there’s another one which might be a better fit. Can I join a brand new group rather than one where everyone knows each other really well? All our groups work hard to be open to new members, and an established group can be a comfortable and welcoming place for newcomers. However, new groups can provide opportunities for a number of people to join at the same time, without having to get used to an existing group. We are always looking for opportunities to start new groups, so talk to us about what might suit you, and we’ll see what we can arrange. Contact our Groups Co-ordinator who will talk to you about what you need.